A fresh green salad pack with 6 leaf vegetables grown by a partner farm in Da Lat. It has iceberg, watercress, radicchio, romaine, green lollo, and mustard green. As the salad is already pre-washed and pre-cut, you just need to put it in a bowl and your salad is ready to be served. *Dressing is not included in the Fresh Salad Set. 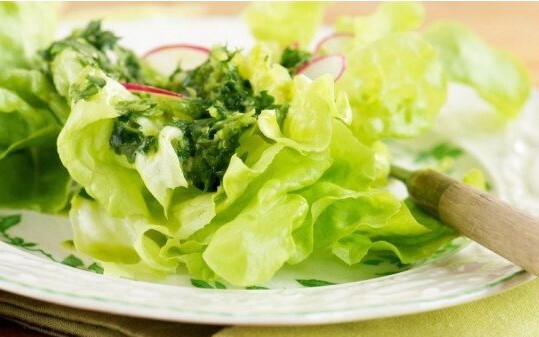 A green salad pack of 6 leaf vegetables, iceberg, watercress, radicchio, romaine, green lollo, and mustard green. It's fresh vegetables directly from partner farms. It's pre-washed and pre-cut at the restaurant. Hassle free green salad pack from Pizza 4P's. *Dressing is not included.